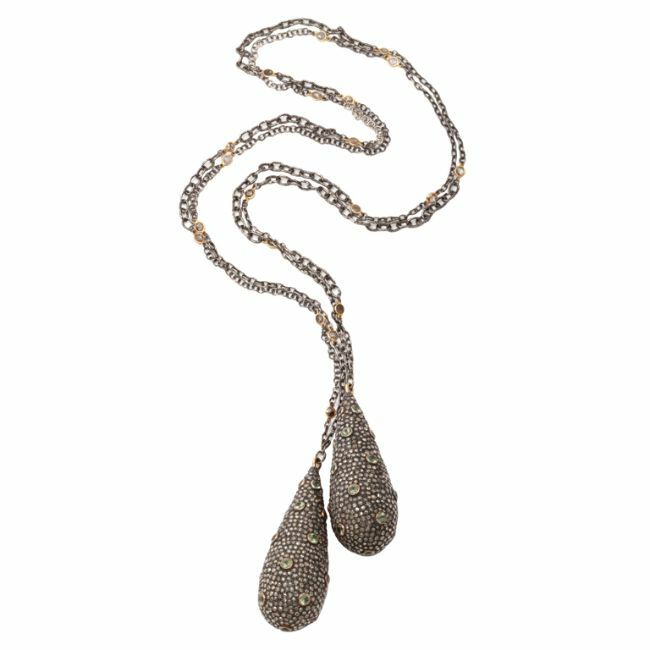 A lariat composed of two sterling silver drop beads that have been bezel set with pale green sapphires in 18kt yellow gold and pave set with diamonds. The two beads are attached to a sterling silver chain which has been scattered with rose cut diamond set in 18kt yellow gold. There are approximately 38cts of diamonds, Length: 30″Materials/Technique: diamonds, sapphires, sterling silver and 18kt yellow gold.